5.The seal material for high temperature resistance is adopted to insure normal operation at 150℃. 1.In accordance with ISO21287 standard, the mounting size is vogue. 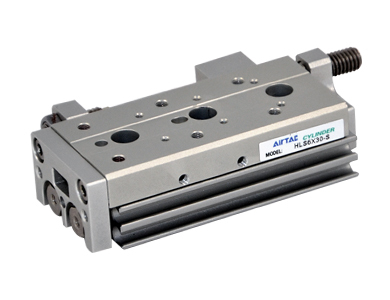 2.The cylinder body connects with the threads of the front and back cover, forming high strength and convenient maintenance. 3.The internal diameter of the body is treated with rolling followed by the treatment of hard anodizing, forming an excellent abrasion resistance and durability. 4.The seal of piston adopts heterogeneous two-way seal structure. It has compact dimension and the function of oil reservation. 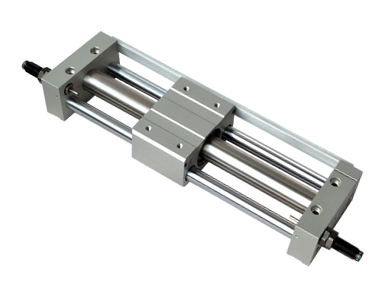 5.Compact structure can effectively save fifty percent installation space with ISO15552 standard cylinder. 6.There are magnetic switch slots around the cylinder body, which is convenient to install inducting switch. 7.Bumper is available and it can availably absorb excrescent energy. 8.Installing accessories with various specifications are optional. 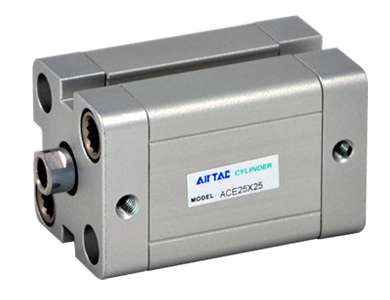 1.This magnetic cylinder is basically a pneumatic rodless cylinder featuring a mobile piston fitted with annular magnets. 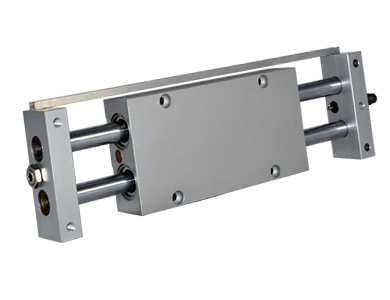 The mobile carriage is also equipped with magnets to provide magnetic coupling (carriage/piston). The carriage slide freely along the main tube. 2.It is dust-proof as the isolation between the carriage and piston. 3.It is compact in space. 4.The non adjustable rubber bumpers and the adjustable pneumatic cushioning on both ends of the cylinder ensure the smooth action. if shock absorber be used, the cushioning effect is more perfection. 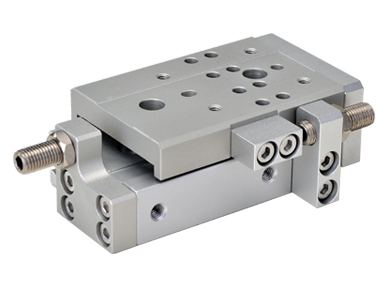 5.Double guides ensure high precision and can endure proper side load or prejudicial load. 1.Collective exhaust type. exhausting air through R and S.
2.Aluminiumalloy die-casting body, Improved internal structure for larger flow rate. 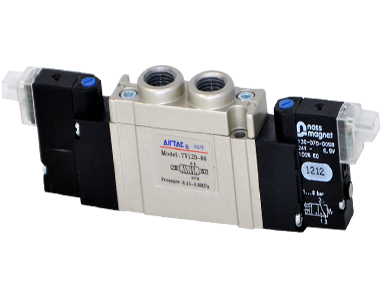 3.Tubing options allow direct tubing(7A) on valves or valve base connection (7MA). 4.Option ‘7MA’ is used with valve subbase. 2.Collective exhaust type. exhausting air through R and S.
3.Air filter installed in the piston seat . Make sure clear air used. 4.Aluminiumalloy die-casting body, Improved internal structure for larger flow rate. 5.Tubing options allow direct tubing(7V) on valves or valve base connection (7MV). 6.Option ‘7MV’ is used with valve subbase. 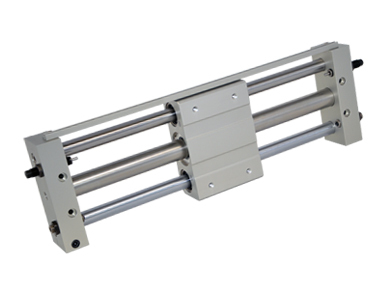 1.Recirculating linear ball bearing,it achieves high precision,high rigidity,with antirust and dustproof function. 2.Through hole for body mounting. 3.Pin holes positioning Improved repeatability of work mounting. 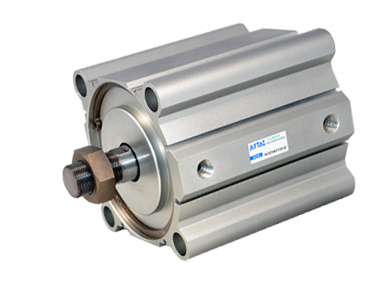 4.Floating joint design Piston rod needn't endure additional torque. 5.Dual rod-doubles the outpute thrust. 6.Pin holes for positioning Improved repeatability of body mounting. 7.Body mounting holes Provide 3 mounting positions. 2.C clip is adopted to connect the cylinder body and back cover or front cover to make it compact and reliable. 4.The seal of piston adopts heterogeneous two-way seal structure. 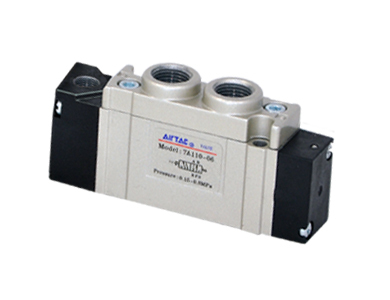 It has compact dimension and the function of grease reservation. 5.Compact structure can effectively save installation space.